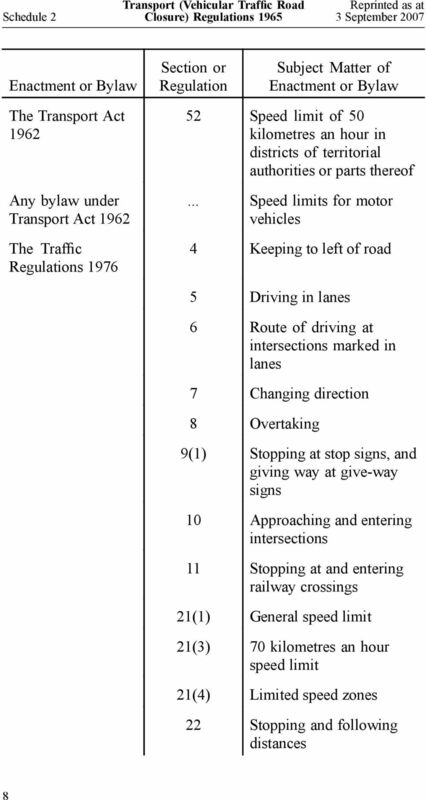 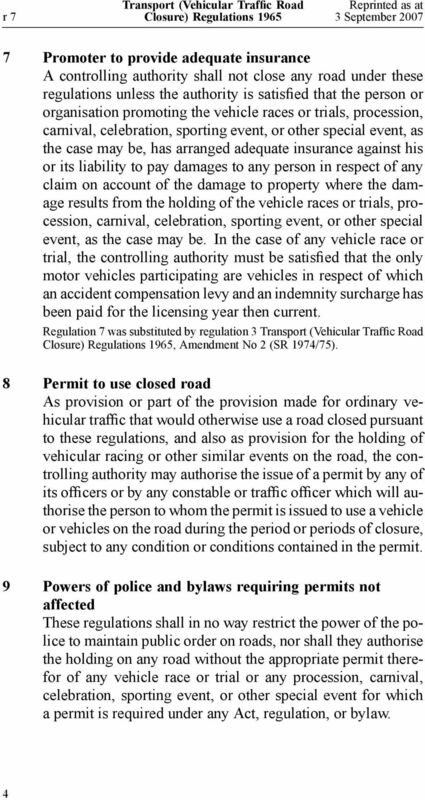 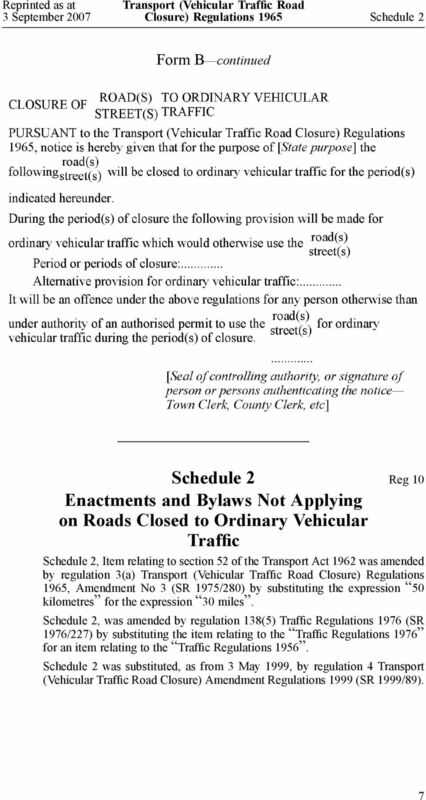 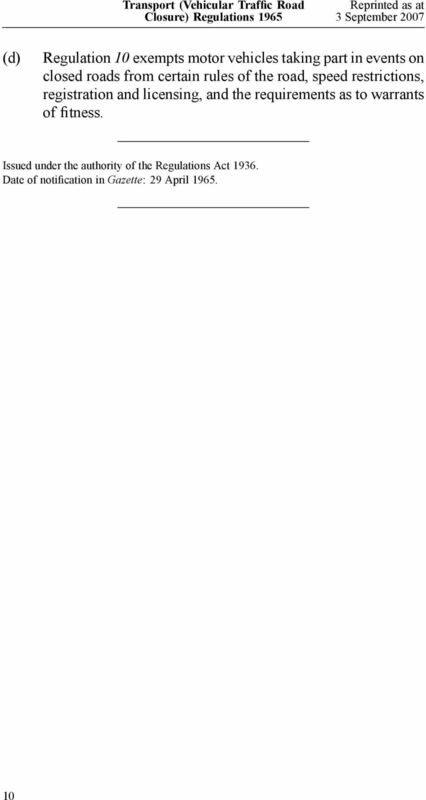 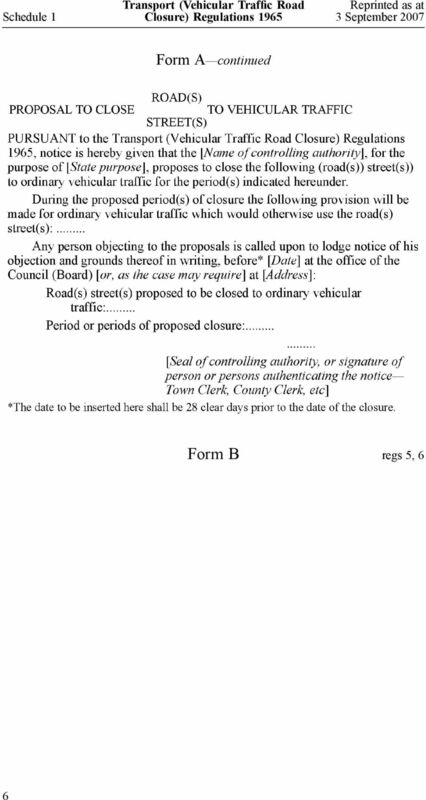 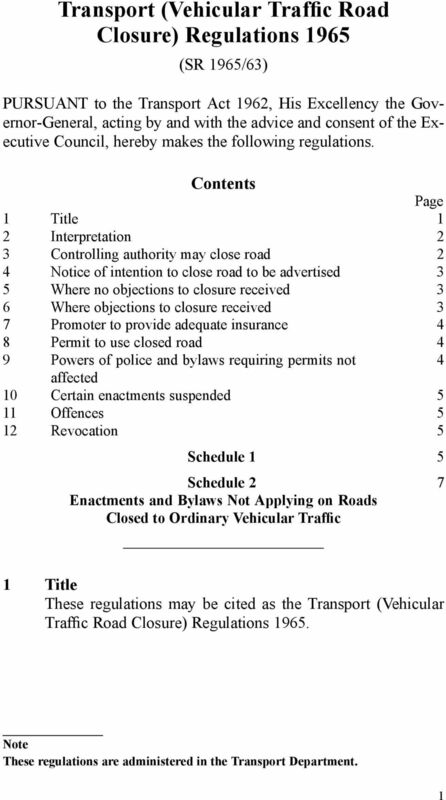 Download "Transport (Vehicular Traffic Road Closure) Regulations 1965"
119 1970/13 THE ARMS REGULATIONS 1959, AMENDMENT NO. 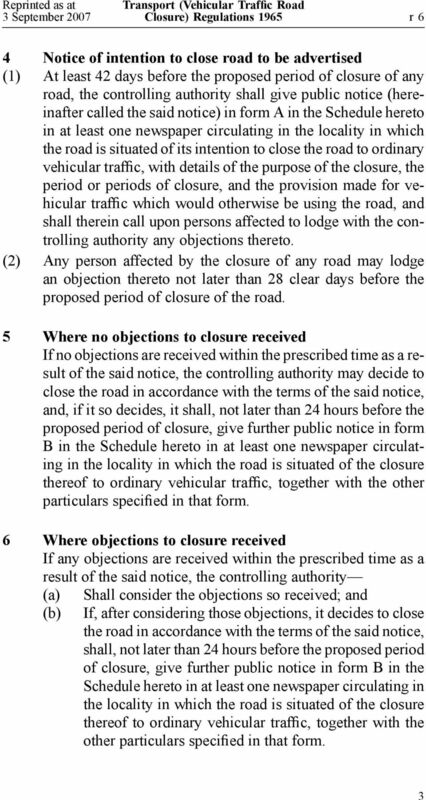 7 ARTHUR PORRITT, Governor-General ORDER IN COUNCIL A't tlhe Government Buildings at Wellington this 9th day of February 1970 Present: THE RIGHT HON. 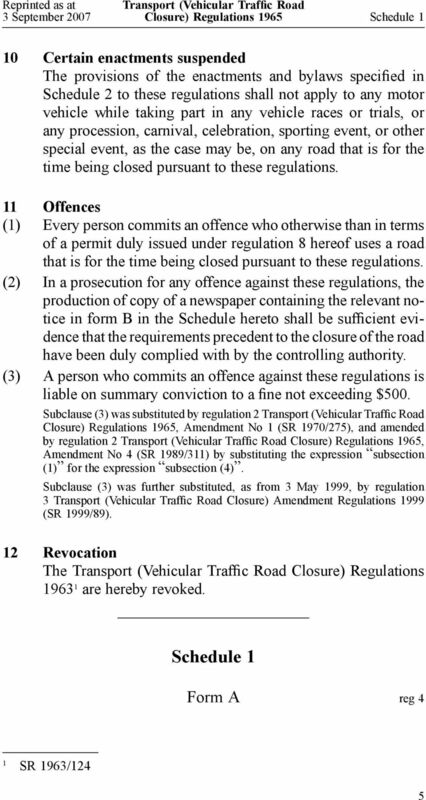 THE ADMINISTRATIVE ADJUDICATION OF ROAD TRAFFIC OFFENCES ACT, 1998, (Act No. 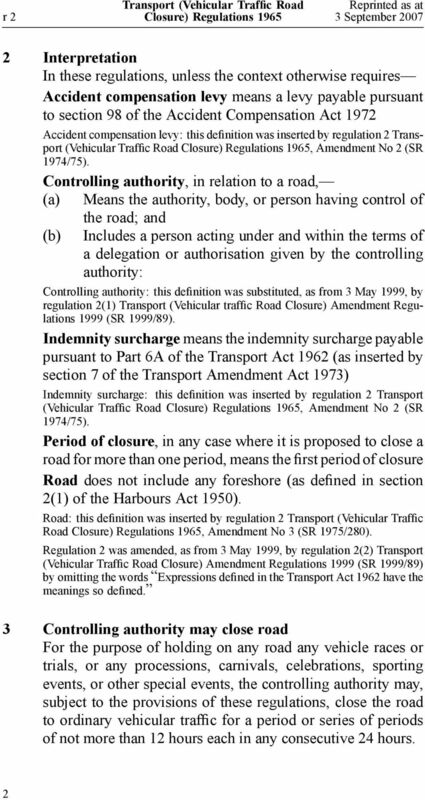 46 of 1998) as amended by Act No. 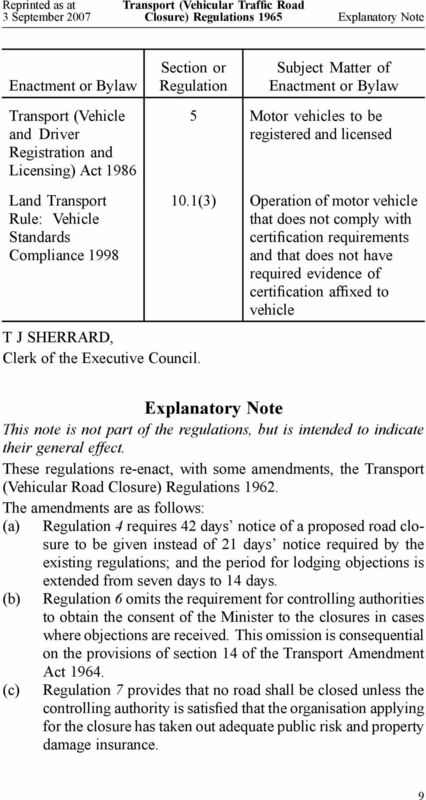 22 of 1999, Act No.